The government says at least two of the proposals of the opposition and civil society will be included in the draft election code, which is set to be submitted to the National Assembly this week. However, the opposition says this does not meet its expectations. 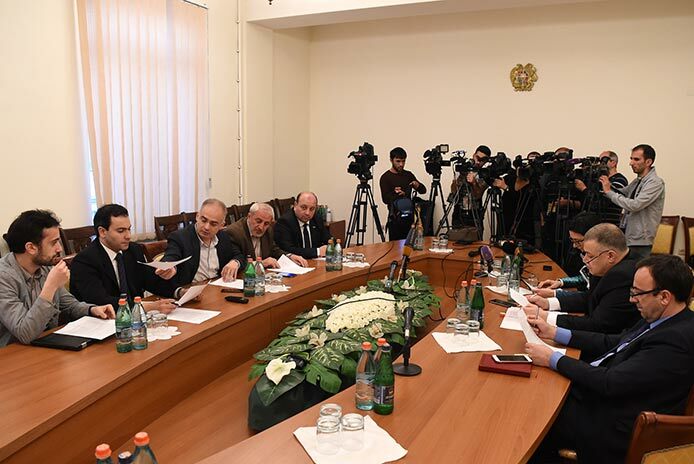 Chief of Armenian Government Staff-Minister David Harutyunyan presented the results of the Armenian National Congress’s (ANC) proposed 4+4+4 format meetings, which included four representatives from each – the government side, the opposition and civil society. Harutyunyan also introduced the position of the government. “We offer to refuse to consider ballots and envelopes as special registration documents. This is one of the most important moments, because there were many opinions, news, gossip, as if fake ballots had been printed,” he stated last week. Harutyunyan said that they are also going to give up the intention of having colored ballots. “There will be envelopes with a cut corner, self-adhesive stamps specific for each polling station. It will be glued on the ballot, and it will be visible in the cut corner of the envelope,” he said. He said that the government did not accept the opposition’s proposal on electoral ink on fingers, however they have a counterproposal. “Each voter will leave his or her fingerprint in the device. The next day those fingerprints will be collected in the presence of representatives of all participating political parties. They will be checked and put into a central server and it will be known if there were voters with multiple fingerprints,” he said. As for the post-election publication of voter lists, Harutyunyan said there were differences on that regard. “The consensus did not take place,” said Levon Zurabyan, the opposition Armenian National Congress’s faction leader. “We are stating, for the moment, that no consensus has taken place, and we consider the negotiations in this format finished, with a small consideration. If there is any signal by you, which shows your commitment to some serious concessions, which is acceptable to our society, we will be ready to resume them [the discussions]. At this point, the concessions that you make are absolutely insufficient to meet the expectations of the society, the public, and the opposition,” he concluded.